I'm delighted to report that my 2012 technothriller Energized is back in print and electrons. (Alone among my older titles, Energized was briefly unavailable in these formats.) It was and is available as an audio book. Or perhaps I should call this my prescient 2012 technothriller. In the headlines: private space companies, renewable energy, the imminence of asteroid mining -- and, sadly, also nuclear proliferation, chaos across the Middle East, homegrown terrorism, and meddling by an assertive Russia. Energized incorporates all these elements. Much of the action is set dramatically in Earth orbit: Aboard a zero-gee orbiting hotel/playground for the super-rich. On (and within) a threatening asteroid diverted to become Earth's newest moon. On a two-mile-square orbiting power station, beaming solar energy 24/7 to Earth. 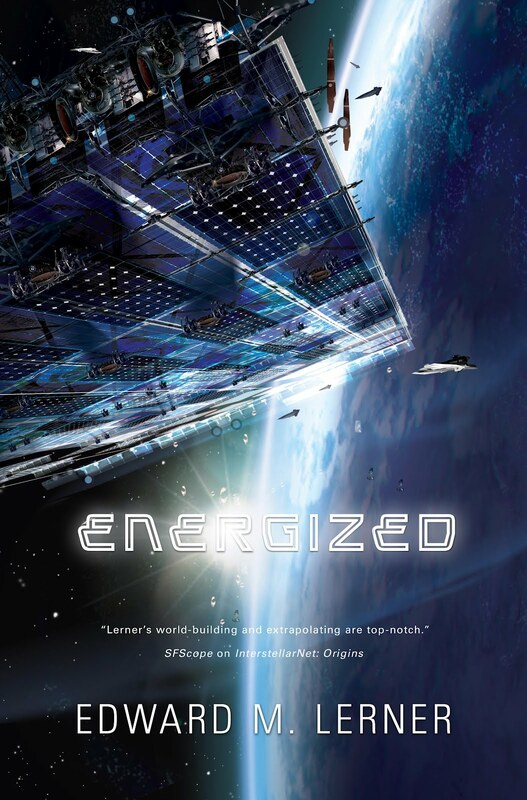 Publishers Weekly called Energized: "A taut near-future thriller about an energy-starved Earth held hostage by a power-mad international cartel ... Lerner's vision of the future is both topical and possible in this crisp, fast-paced hard SF adventure." Analog described the novel as: "A magnificently fun romp, complete with espionage, international cabals, sabotage, and lots of amusing political commentary." 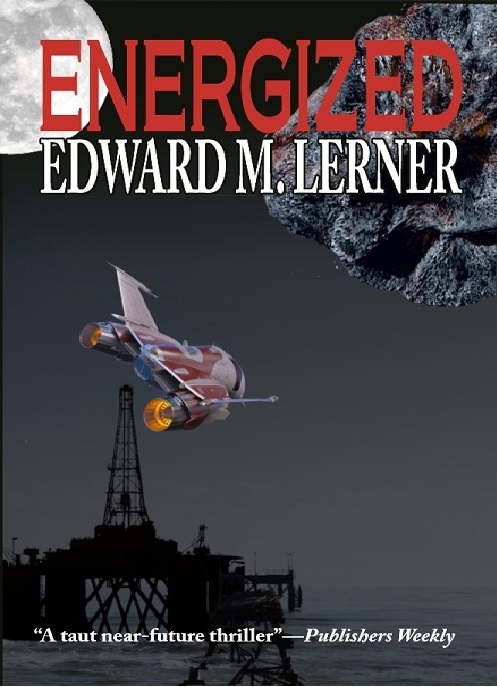 Library Journal wrote: "Environmentally conscious sf makes a strong showing in Edward M. Lerner's Energized. … Plot and political intrigue take center stage in this sf adventure that should appeal to fans of hard sf and technothrillers." Curious? Why not check out the novel at Amazon (trade paperback, Kindle, Audible)?